Our plan encompasses stakeholder and community engagement, social issues and human rights. 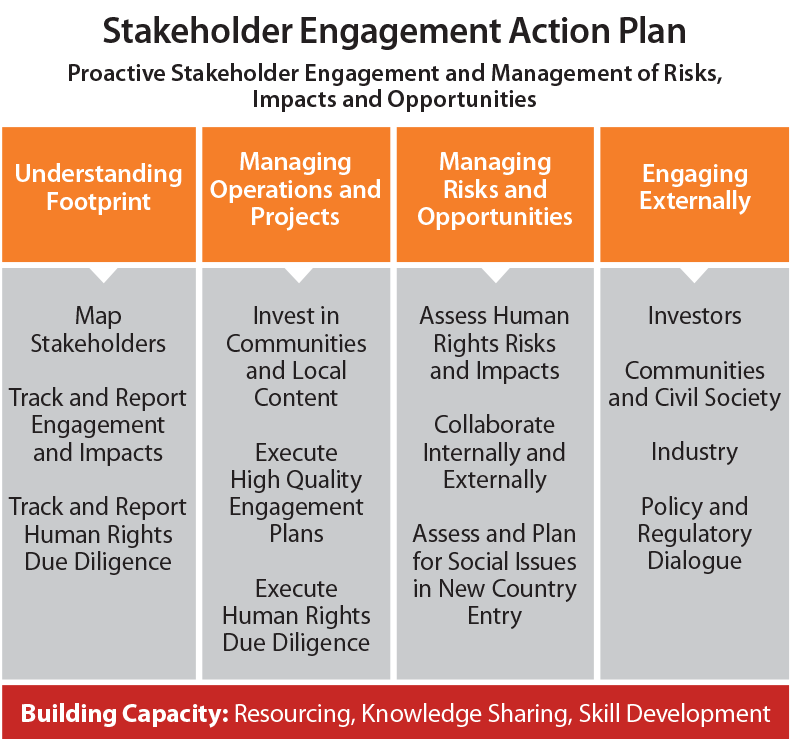 While we have focused on these areas for many years, the plan fosters continuous improvement, consistency, and alignment as we live by our Human Rights Position and Stakeholder Engagement Principles. In each of these focus areas, business units and functions have committed to specific actions. The full plan includes 42 specific actions, indicators or projects across the company with clear accountability to drive performance goals. Our annual Sustainability Report offers additional details about our efforts. Our action plan allows us to track, measure, monitor and adjust our stakeholder engagement efforts. 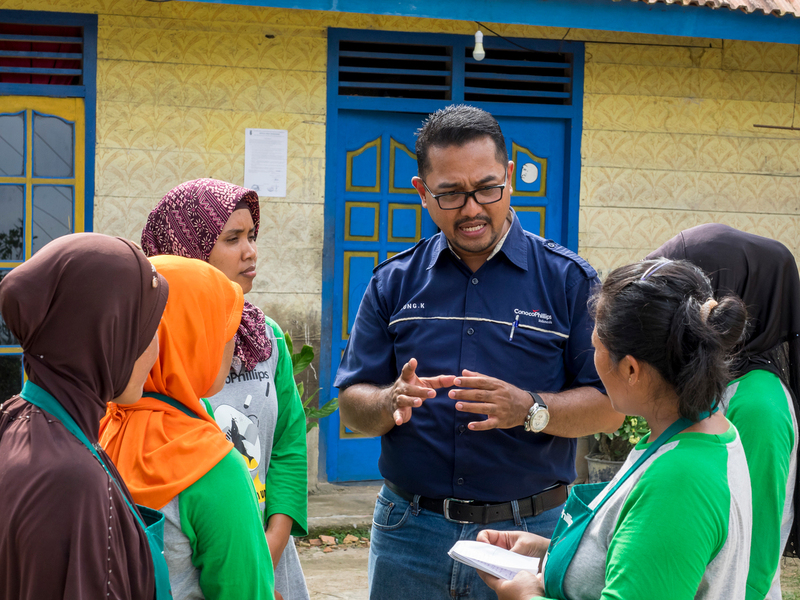 Since every community is unique, our business units develop fit-for-purpose solutions to meet the action plan commitments to assess and address stakeholder issues at all stages of our operations. These issues are reported to asset and company leadership through regular updates, including summarized findings and specific examples when appropriate. Our annual Sustainability Report includes updates of our work on social performance indicators and progress on actions in the Stakeholder Engagement Action Plan. Action plan commitments and progress are managed through an integrated governance process, which includes involvement of executive leadership and our board of directors. Our Stakeholder engagement issues working group, led by a member of the sustainable development team, is responsible for managing the action plan. The group’s members are community relations, human rights and indigenous subject matter experts, advisors, team leads and managers representative of our global exploration and production portfolio. Each of our various businesses and functions is responsible for contributing to and implementing the Stakeholder Engagement Action Plan. Our internal Network of Excellence is the primary knowledge sharing tool for the working group members to innovate, collaborate, transfer knowledge and share best practices.